Globalization expands and accelerates the movement and exchange of ideas and commodities over vast distances. It is common to discuss the phenomenon from an abstract, global perspective, but in fact globalization’s most important impacts are often highly localized. It is a process of interaction and integration among the people, companies, and governments of different nations, a process driven by international trade and investment and aided by technology. This process has effects on the environment, on Culture, on political systems, on economic development and prosperity, and on human physical well-being in societies around the world. Globalization of law: Law has traditionally been the province of the nation state, whose courts and police enforce legal rules. By contrast, international law has been comparatively weak, with little effective enforcement powers. But globalization is changing the contours of law and creating new global legal institutions and norms. The International Criminal Court promises to bring to justic odious public offenders based on a worldwide criminal code, while inter-governmental cooperation increasingly brings to trial some of the most notorious international criminals. 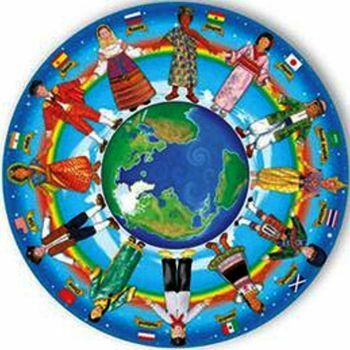 Globalization of Culture: Technology has now created the possibility and even the likelihood of a global culture. The Internet, fax machines, satellites, and cable TV are sweeping away cultural boundaries. Global entertainment companies shape the perceptions and dreams of ordinary citizens, wherever they live. This spread of values, norms, and culture tends to promote Western ideals of capitalism. Human Rights: This focus on the individual is part of a broader trend that has been underway for centuries and has only intensified since the end of the Second World War. Human rights recognize the dignity inherent in every person as a human being, regardless of his or her particular nationality, race, ethnicity, religion, gender, sexuality, class or any other group affiliation or characteristic. As a result, they assert the moral and legal primacy of the individual over other entities that have “rights,” such as the family and the state. Environment: Tens of thousands of people descended on Seattle, Washington, in December 1999 to protest a World Trade Organization (WTO) meeting of trade ministers from 130 countries around the world that was intended to launch a new, multi-year set of trade liberalization negotiations. Although the shrimp import ban was intended to protect the environment, most of the affected imports were from Southeast Asian countries that could not afford the turtle excluder devices. How globalization is promoting both the rapid spread and the effective treatment of highly contagious diseases. The growing debate over the use and future of genetically modified organisms (GMOs). Four diseases in particular have become extremely important concerns. Two of these diseases, HIV/AIDS and tuberculosis (TB), are found across the globe; the other two, cholera and malaria, primarily afflict poorer countries. If you would like to learn more about what these diseases are and the specific sets of problems they create, please check out the supplementary material in the section on “Four Global Diseases” that provides detailed information about each of them. You will see that people trying to combat each disease face different sets of challenges. 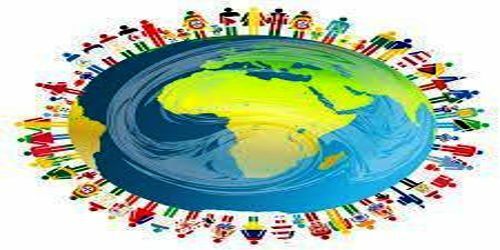 Education: Globalization has created the need for global citizens that have a keen awareness of the political, economic, social, and environmental concerns of our time. Our inter-connected world demands that we not only have an understanding of our country, but an understanding of nations, cultures, languages, and religions around the globe. Rapid advancements in technology have made for profound paradigm shifts in almost every arena, so much so that keeping the competitive advantage in a globalized economy now requires going beyond traditional modes of education that create a well informed, trained, and motivated workforce. 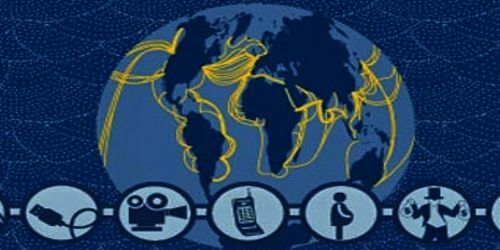 Migration: Increasing flows of goods and capital are the drivers of globalization, made possible by the gradual lowering of barriers to their movement across borders. With regard to the flow of people, however, similar deregulatory trends are being firmly resisted. As noted by the World Bank in its report, “Globalization, Growth, and Poverty,” while countries have sought to promote integrated markets through liberalization of trade and investment, they have largely resisted liberalizing migration policies. Many countries have extensive legal barriers preventing foreigners from entering for purposes of seeking work or residency. Media: Media is a tool and its uses are a reflection of the people who use it. So understanding the media itself and its dynamics will help in using it and in mitigating its downsides. The media is here to stay, so it’s not like there’s much of a choice, anyway. This issue brief will address what the media is and how it interacts with society—specifically, the types of media, the media’s role in society, governmental roles in media, control of media, alternative media, the economics of the media industry, and a case study on a pivotal moment in history involving the media and its implications. Toward the end of the Second World War, in July 1944, representatives of the United States, Great Britain, France, Russia, and 40 other countries met at Bretton Woods, a resort in New Hampshire, to lay the foundation for the post-war international financial order. Therefore, the United Nations Monetary and Financial Conference, as the Bretton Woods conference was officially called, created the International Monetary Fund (the IMF) and the World Bank to prevent economic crises and to rebuild economies shattered by the war. Recent advances in our ability to communicate and process information in digital form— a series of developments sometimes described as an “IT revolution”—are reshaping the economies and societies of many countries around the world. Information Technology (IT) is a driving factor in the process of globalization. Improvements in the early 1990s in computer hardware, software, and telecommunications greatly increased people’s ability to access information and economic potential. These advances have facilitated efficiency gains in all sectors of the economy. The tremendous growth of international trade over the past several decades has been both a primary cause and effect of globalization. Although increased international trade has spurred tremendous economic growth across the globe —- raising incomes, creating jobs, reducing prices, and increasing workers’ earning power — trade can also bring about economic, political, and social disruption. Because the global economy is so interconnected, when large economies suffer recessions, the effects are felt around the world. When trade decreases, jobs and businesses are lost. In the same way that globalization can be a boon for international trade; it can also have a crushing impact.